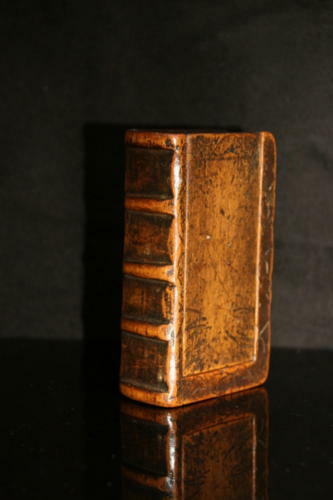 Fabulously patinated English Book Box form snuff or tobacco box, sycamore , late 18th century. Some decorative lines around the "front and back covers". possibly for scholars and academics according to Pinto. This is a proper bit of old fashioned treen, tactile and patination.